Calling all Members, Friends and Dancers to Save the Date!!! Sunday September 22 Changs will celebrate it's 75th anniversary at the Croatian Cultural Center in San Francisco. Featuring bands Vecernica and Da! Mozem, plus food, friends, memories and fun. Watch this space for updates about time and activities. 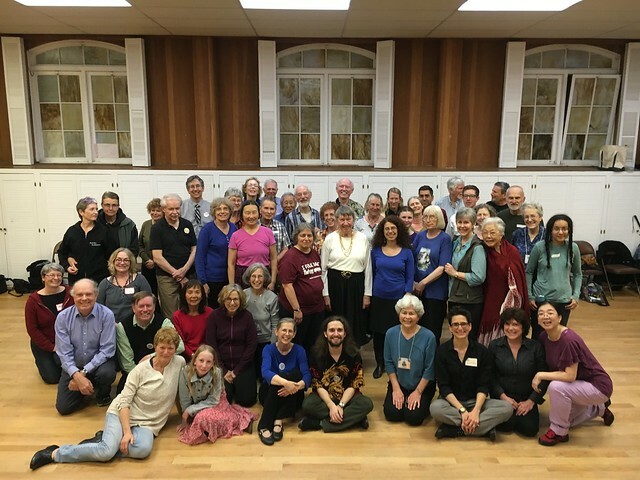 Family Folk Dance night is here again! Casual kid-focused easy folk dancing. No need to dress up. Wear comfortable shoes like tennis shoes or flats or sandals. One piece of advise for adults: don't wear sticky sticky soled shoes like new tennis shoes. Your knees want your foot to turn when the rest of you turns. Cost: $5-10 per family, sliding scale. Parking: there is street parking not too hard to find in the 2 blocks N of Clement on 31st or 30th. Join us afterwards for a potluck dance party till 10:30 ish if you like.